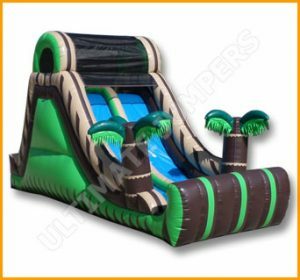 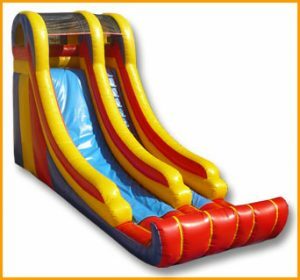 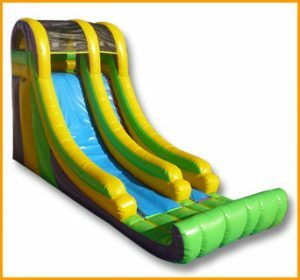 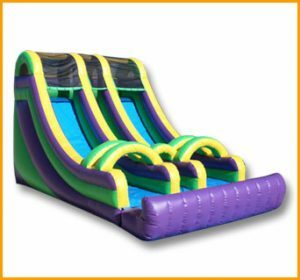 This petite inflatable 12′ front load double lane slide is the ideal slide for toddlers. 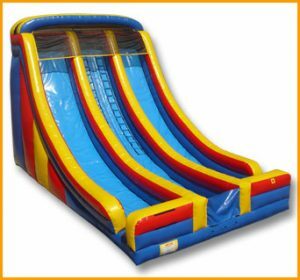 It is 12′ tall and has two lanes that the kids can slide down from. 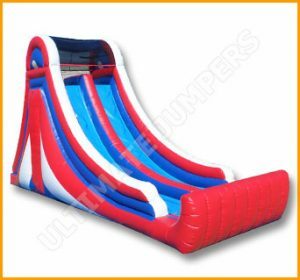 This petite inflatable 12′ front load double lane slide is the ideal slide for toddlers. 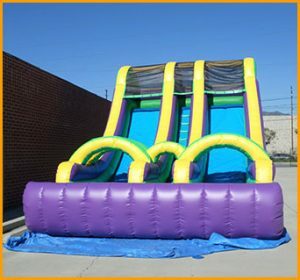 It is 12′ tall and has two lanes that the kids can slide down from. 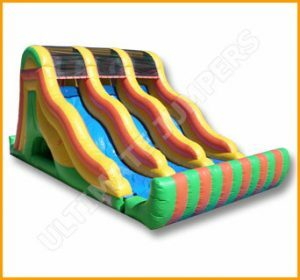 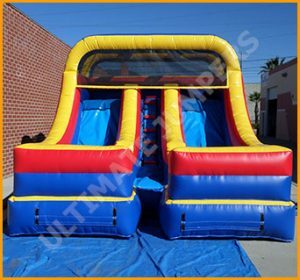 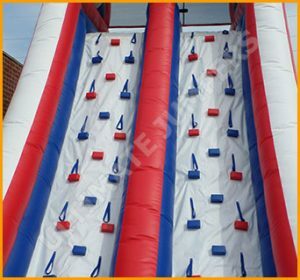 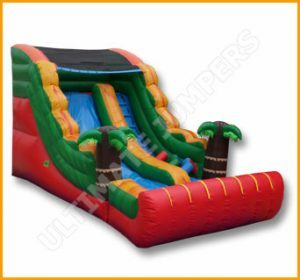 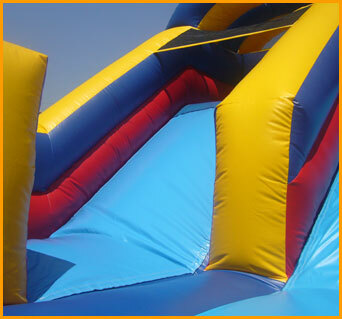 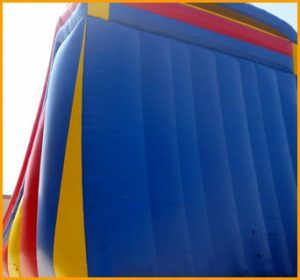 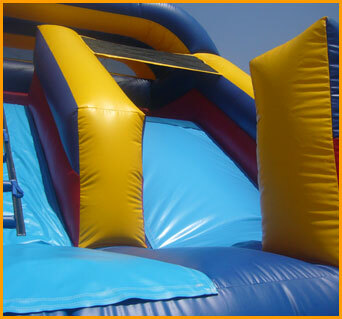 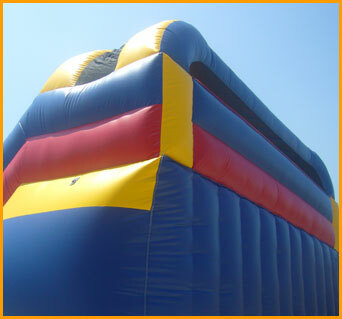 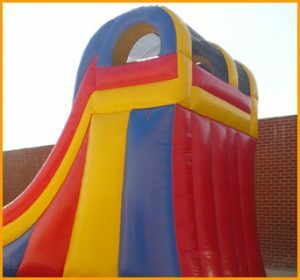 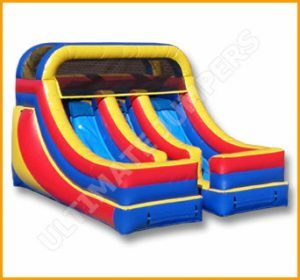 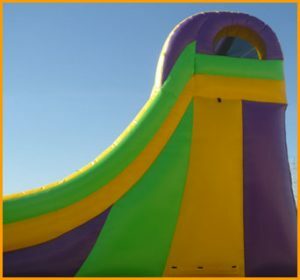 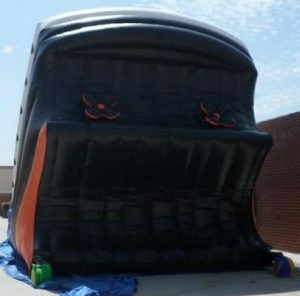 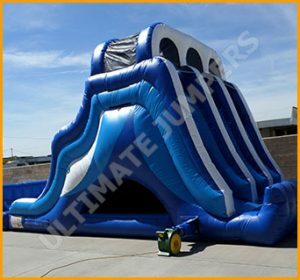 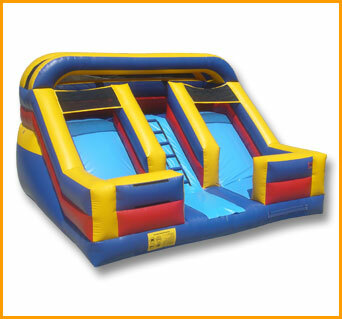 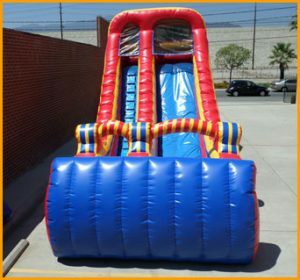 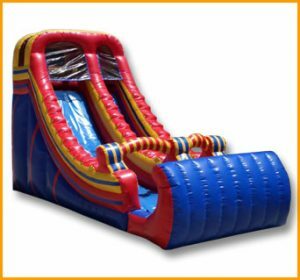 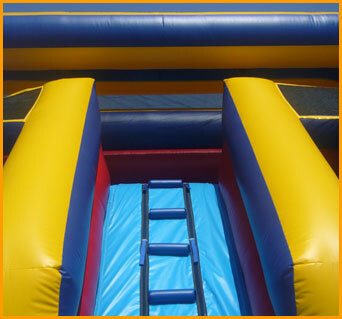 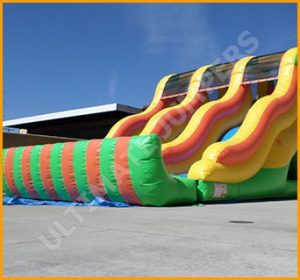 Any child 3 and under will surely have a blast while climbing this inflatable slide and sliding down. 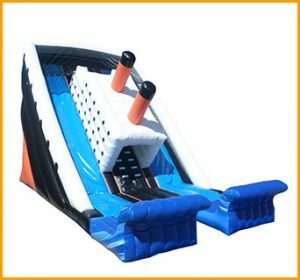 The fun doubles when you have a friend sliding in the next lane over. 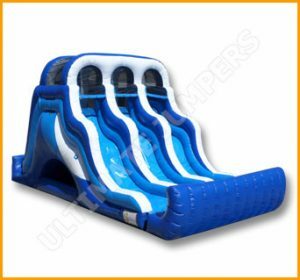 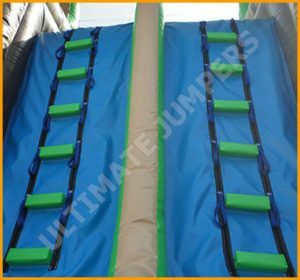 This fun slide can be set up outside or at any type of indoor playground setting. 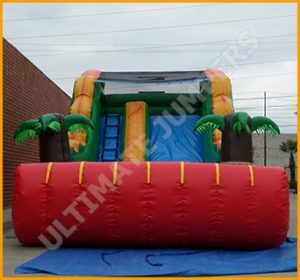 The colors can also be customized at no extra charge.